This Post has already been read 254 times. After much anticipation, the wait is over. 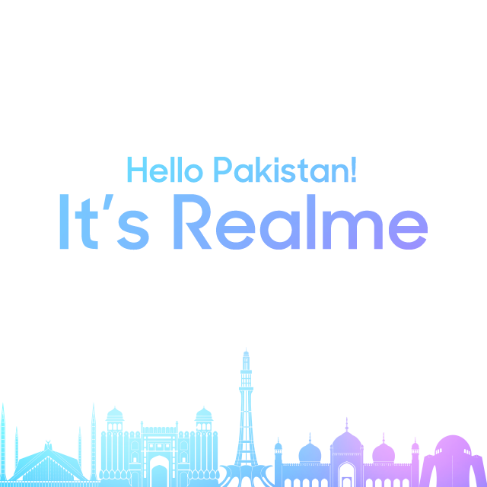 Realme, an emerging smartphone brand that specializes in providing high quality smartphones, has teased its launch date in Pakistan. According to its social media pages on 13th this month, we may be able to get our hands on the Realme as soon as the next few weeks. Realme aims to be top of mind for the younger generation of Pakistani who are looking for smartphones that are fast, stylish, and affordable. The brand is on the rise and conquering hearts among the young smartphone lovers worldwide. Realme – launching Pakistan, is set to target over 60% of Pakistan’s young population with attractive and affordable smartphone range, following exceptional launch success experienced in Indonesia, Malaysia, Philippines, Vietnam and India; besides, capturing a strong market presence in Thailand. The Realme products have been breaking records since its launch. The brand’s immense success in India and Indonesia catapulted it to being one of the top smartphone brands available. 1,000,000 units were sold within four months of the phones being launched in India, making it the fourth most popular online smartphone brand. Catering to the lifestyles of the younger generation, Realme in Indonesia, has managed to sell 40,000 units in 21 minutes and they’ve become a triple smartphone champion for the fastest sales growth,the highest total unit sales and single product sales from the new smartphone brand. Such impressive sales performances have proven that Realme is indeed a ‘Dark Horse’ in the smartphone industry.The brand’s product line-up has also achieved rave reviews from international media, like Forbes, GSMArena, Android Authority and other media. Across the board, it is known to hold its own in terms of design, software, cameras, and price range. Carrying the ‘Proud to be Young’ tagline, Realme is focused on becoming a ground-breaking smartphone brand for the younger generation, bringing together best-in-class performance coupled with contemporary style. Realme products have been recognized for it’s ‘Power and Style’ and has been received with flying colors. With the launch taking place soon,tech enthusiasts and eager fans will have to wait just a little while longer to get their hands on the anticipated smartphones that bring together best-in-class performance coupled with contemporary style appearance.